The Kyoto Imperial Park (Kyoto Gyoen) is a large area in the central area of the city, in which there are two main important buildings, the Kyoto Imperial Palace and the Sento Imperial Palace. Around these buildings, whose entrance is very limited (see the respective sections below), there is a large free-admission park, which becomes very popular in spring when the many plum and cherry trees bloom. In the southern part of the park there is a very particular area with a small pond, around which there is a small Shinto shrine, the Itsukushima Jinja, and an old tea-house (Shu Sui Tei). Another small pond (Konoe pond), surrounded by many cherry trees, is located at the northern end of the park. Around the park there are two other small Shinto shrines, the Munakata Jinja in the southern part near the Itsukushima, and the Shirakumo Jinja in the central part. In the southwest corner of the park there is also the Kaninnomiya Mansion (opening hours 9-16, closed on mondays), an ancient noble residence of the Fujiwara family, it can be visited free of charge. This palace has housed the imperial family of Japan for hundreds of years until 1869, when the capital was moved from Kyoto to Tokyo. 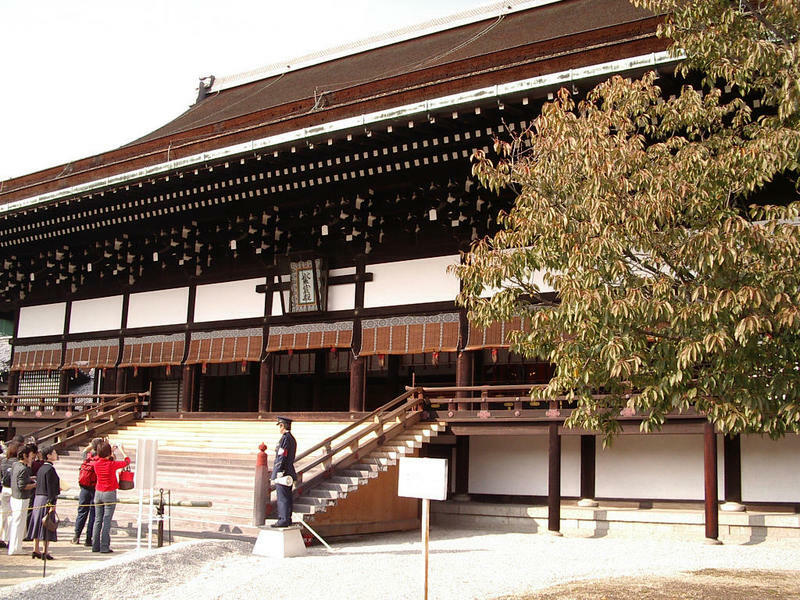 The various buildings have been destroyed several times throughout history, the current ones date back to 1855, rebuilt after being destroyed by fire, trying to recreate the style of the Heian period. You can visit the buildings free of charge, but the procedure is quite complicated and I don't know how much it's worth. You can visit the interior of the complex only by guided tour (in English) that you have to book in advance by showing your passport at the Imperial Household Agency office (opening hours: 8:45-12, 13-17, Monday to Friday), which is located opposite the entrance to the Imperial Palace (see map). If you go there on the day you intend to visit, you may not find places available, so if you are very keen to visit this place, book as soon as possible, especially in high season. 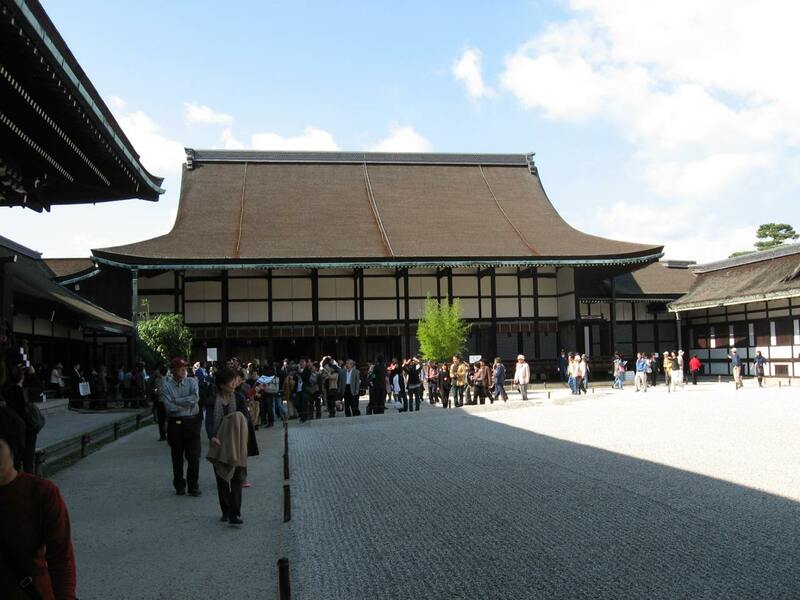 This complex was built in 1630 as the residence of the emperor Gomizuno, who had retired for old age. From that moment on, it was used as a residence for all other ex-emperors. In 1854 almost all of the original buildings of the complex were destroyed and never rebuilt. In 1867 in this same place the Omiya Palace was built, which is still used today by the imperial family during any stay in the city of Kyoto. 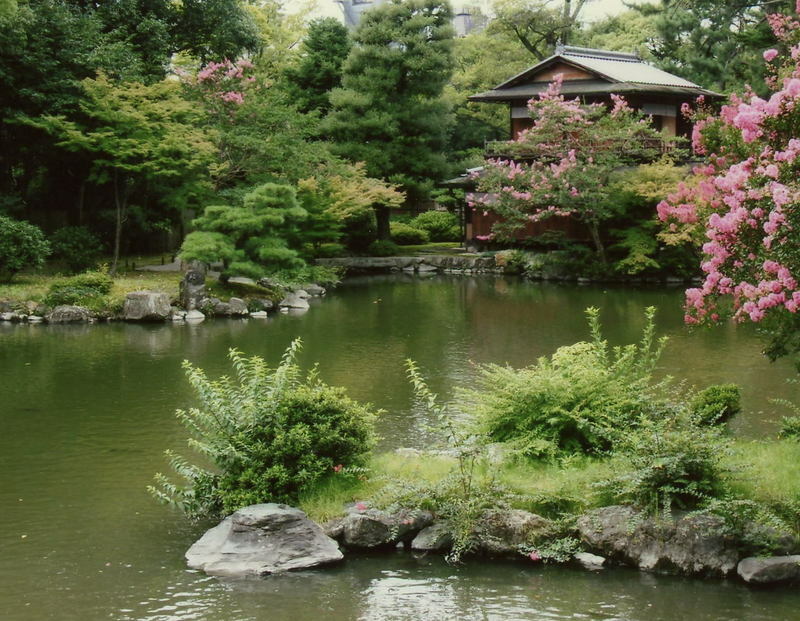 Very beautiful are the gardens that now occupy much of the complex, which also includes a small lake along whose banks there are two tea-houses which are also the only two remaining buildings belonging to the ancient Sento Palace. If you want to visit this complex, you have to do the same I have written above for the Kyoto Imperial Palace, you need to book a guided tour (in this case only available in Japanese) going to the office of the Imperial Household Agency (opening hours: 8:45-12, 13-17, Monday to Friday) and showing your passport. There are various hotels also around the Imperial Park. I point out one of the cheapest business hotel in the area, with large rooms and excellent value for money, the Palace Side hotel. Near the northern part of the Kyoto Imperial Park, where there is also the office of the Imperial Household Agency, there is the Imadegawa metro station, served by the Karasuma line (9 minutes, 250 YEN from Kyoto station). Near the southern area of the Park there is instead Marutamachi station, the previous stop to Imadegawa along the Karasuma line coming from Kyoto station.